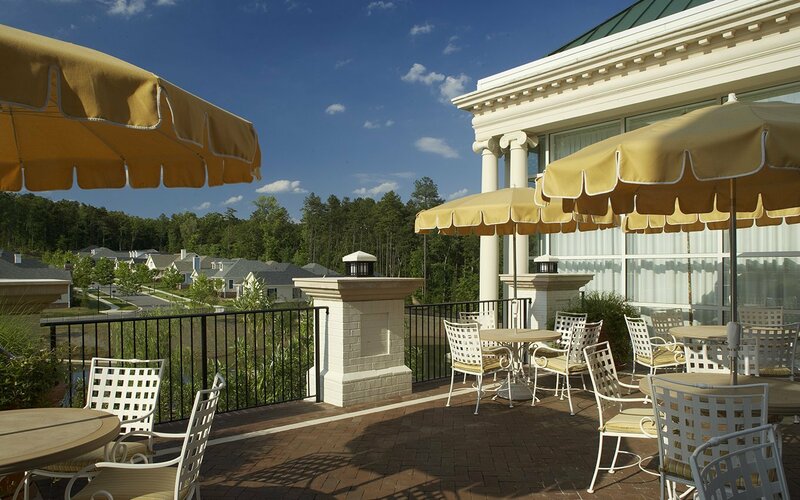 The Cedars of Chapel Hill, a Life Plan Community, is an integral part of Meadowmont, a 560-acre planned neighborhood designed for mixed uses and age groups. 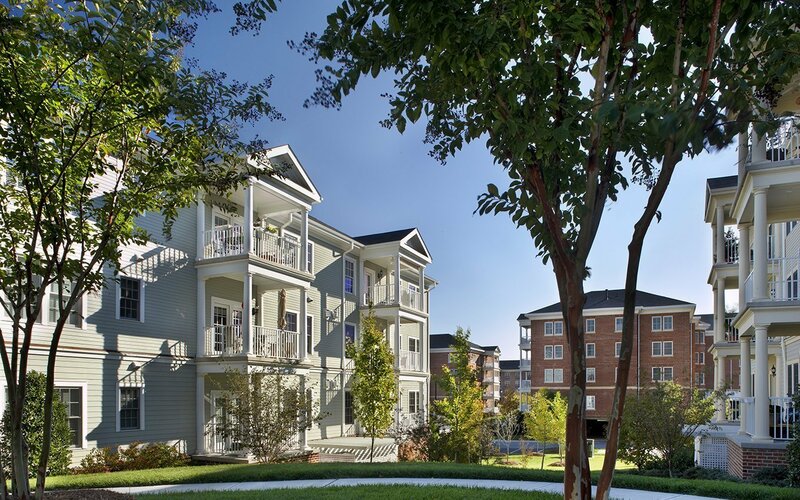 Located in a university the target market for The Cedars consists of seniors educated in, living in, or having other family members in the area who want to live in a community with a wide range of activities nearby. Since the original inception of the community, CJMW Architecture has been working with The Cedars – first to masterplan and design the community as a whole, then to assist in its continued expansion and growth. Currently, CJMW architects and interior designers are designing an expansion that brings the healthcare center from 48 to 66 beds. 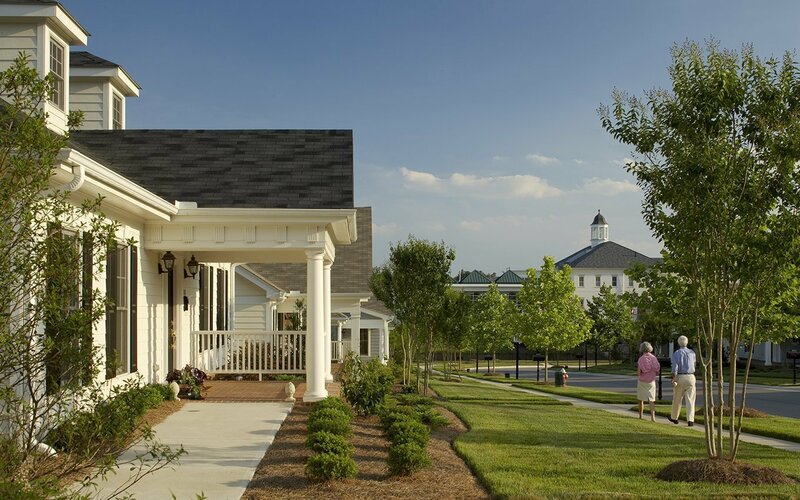 There are 300 residences, a Clubhouse and a healthcare facility in the 45-acre community. The site plan is compact and clearly organized as a campus with a central Great Lawn. The Clubhouse – social hub of the community – sits at the head of the Lawn. The Villa buildings surrounding the Lawn are closely spaced to minimize walking distances. The architecture is Georgian in style, similar to the nearby university campus, with a variety of classical detailing giving each building its own character. There are three basic building types – cottages, Villas and Verandas – and twenty-seven distinct floor plans available. Residences range in size from 980 to 2,780 square feet. 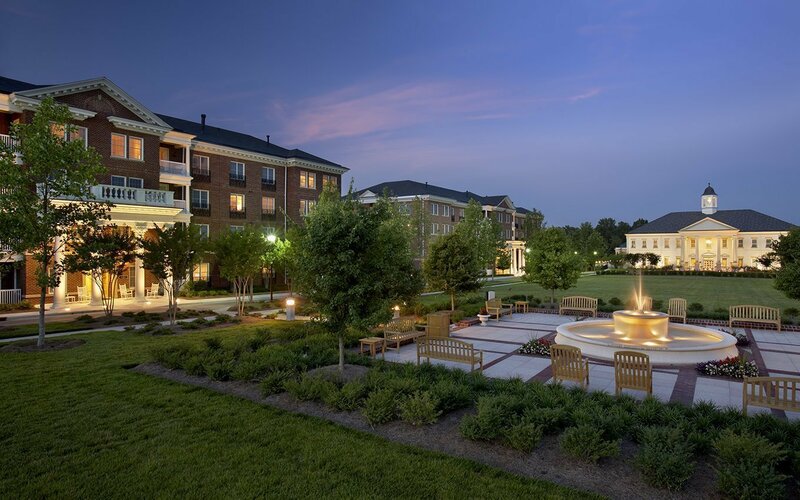 The large size and variety of the residences at The Cedars are a direct response to the rising expectations of seniors, who do not want to give up their activities, comfort, or individuality when moving to a Life Plan Community. All residences are condominiums. The Lawn provides space for concerts, croquet, and other outdoor activities. Other site amenities include a bird sanctuary, garden plots, ponds and walking paths. 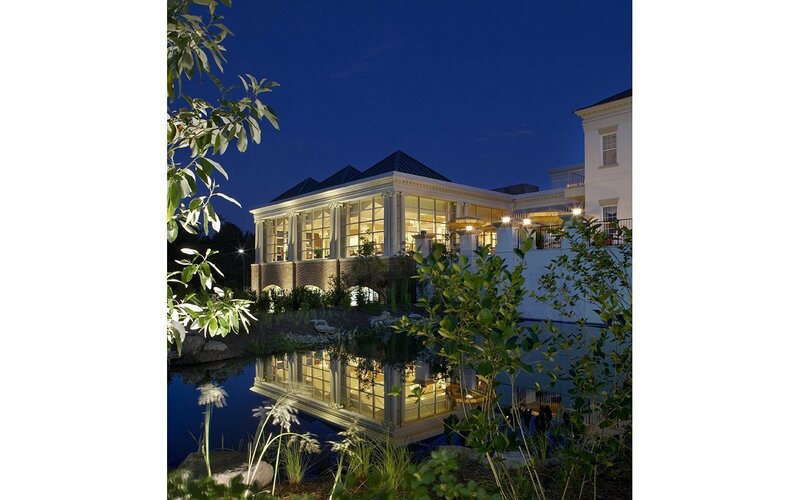 The Clubhouse contains a variety of dining rooms, with a dining terrace overlooking a pond and waterfall. Living rooms, a community hall and card room are available for social activities and a pool, sauna and steam rooms, exercise room and day spa provide for the physical well-being of residents. 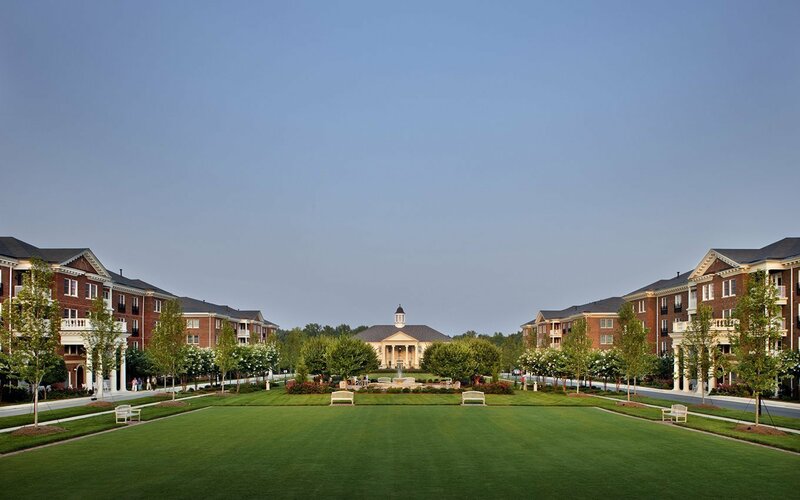 An on-campus home health service, campus-wide wireless personal emergency response system, and chauffeur service to and from all buildings help residents age in place.